What I’ve seen and heard quite a bit lately is lenders not being so forthcoming with their existing borrowers wanting to refinance their mortgage. So when a homeowner goes to inquire about the “awesome low rates,” their first instinct may be to pick up the phone and call the lender who gave them their current loan. They’ll say this in their most convincing tone, though it’ll be pretty clear they’re lying through their teeth. Why? Well, if you got your mortgage even only a year and a half ago when the 30-year fixed was hovering close to 5%, you’d be grossly overpaying for your mortgage. Today, lenders are dishing out 30-year fixed mortgages around 3.5%, so clearly a 1.5% drop in rate can benefit a ton of homeowners, even those who refinanced during a period they thought was the lowest point EVER. This tends to be more of an issue for those who call the bank their loan got sold to, as it wouldn’t really benefit the lender to offer a lower rate. For example, if you call your lender and inquire about a streamline refinance, thinking it could save you time and money, they’ll probably tell you to bugger off. If you encounter any resistance, it’s not the end of the world, not by a long shot. All you need to do is call a different bank, credit union, or mortgage broker and have them price your loan instead. It’s pretty darn simple really. Your current lender may not want to lift a finger to help you save money, but there will be many others champing at the bit to get you that refinance. So don’t be discouraged if you are told otherwise. Simply say thank you, hang up the phone, and start getting in touch with anyone else. After all, if you could stand to save hundreds to thousands of dollars annually, it’d be pretty imprudent not to inquire about a refinance. Heck, even if your current lender offers to refinance your mortgage, you should shop around. Not shopping means you won’t know what else is out there. 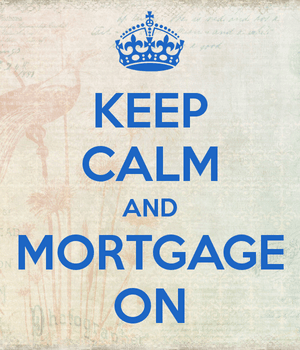 It’s something you should do no matter how “cool” your current lender is. At the same time, be sure it makes sense to refinance your mortgage. It isn’t always going to be the right move, so watch out for overzealous loan officers looking to serially refinance your mortgage every time rates drop by some minimal amount. Read more: When to refinance a mortgage? This exact situation came up with Flagstar. I called to inquire about a refinance and they told me my 15-year fixed at 4.5% was a great rate, despite the fact that rates fell below 3%. So I went to a local credit union and got a rate of 2.75%. This is so true! The same thing happened to me with my lender. They told me I already had a low rate and that it would be expensive to refinance. Meanwhile I was set to save nearly $1000 a month. What a joke!